If your lawn is full of weeds, don’t make the mistake of focusing just on killing them. You need to nurture healthy grass that can overtake the weedy areas. The key to no weeds, is strong grass roots. Controlling the weeds and grass that grow in your lawn and flower beds will allow for more nutrients to enter the root system of the existing vegetation, thus inducing growth and color. Controlling the weeds in the lawn itself will allow for a more even growth and thicker grass. Lawn maintenance – keeping your lawn cut regularly is not only about making it look good. It needs to stay a short length to ensure healthy grass roots and no weeds. Lawn Watering – It’s important to keep a regular watering schedule because healthy grass roots will push out weeds, keeping them from growing. Lawn Fertilization – During the extreme Texas seasons, your grass will deplete the nutrients in the soil and fertilization will help feed and replenish those nutrients. 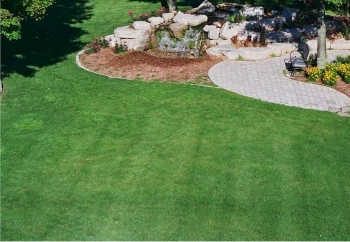 JC’s Landscaping has a team of weed control experts ready to give you a perfect lawn. Contact us for help.